This discipline requires an extremely high degree of mental control. 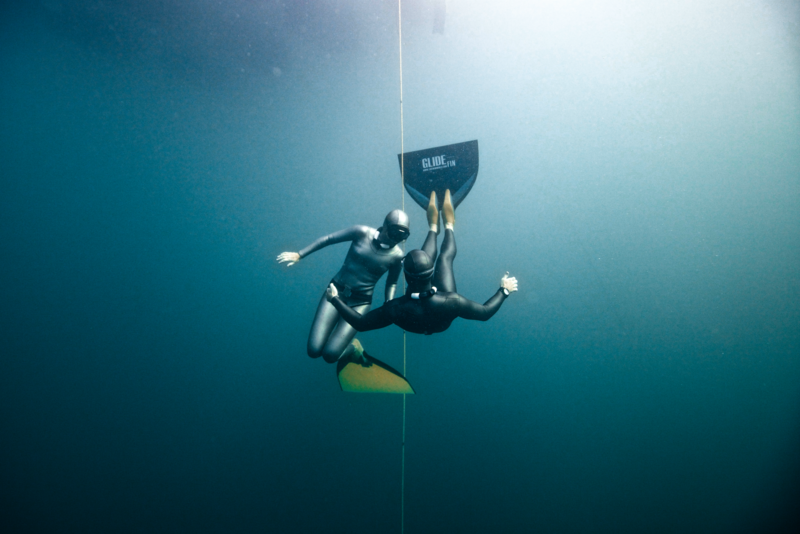 The freediver simply holds his breath underwater for as long as possible. He must enter a very relaxed state so as to minimise Oxygen consumption. Eventually, the store of Oxygen will reduce to critical levels, resulting in hypoxia, and possibly black-out if the freediver fails to listen to his body or ignores what he hears. The current record stands at over 10 minutes, but the human body can survive for much longer in a state of apnea. Apnea is the scientific term for breath-holding, literally meaning ‘without air’.